Elida is a classic mirror light with a modern design which can be mounted either horizontally or vertically. It fulfills the important tasks as a mirror light as it provides glare-free, shadow-free light near a bathroom mirror. Placing a light either side of a mirror produces an even light and a harmonious look. The metal parts of the mirror light are patinated. The blown tube glass is among its other special characteristics. 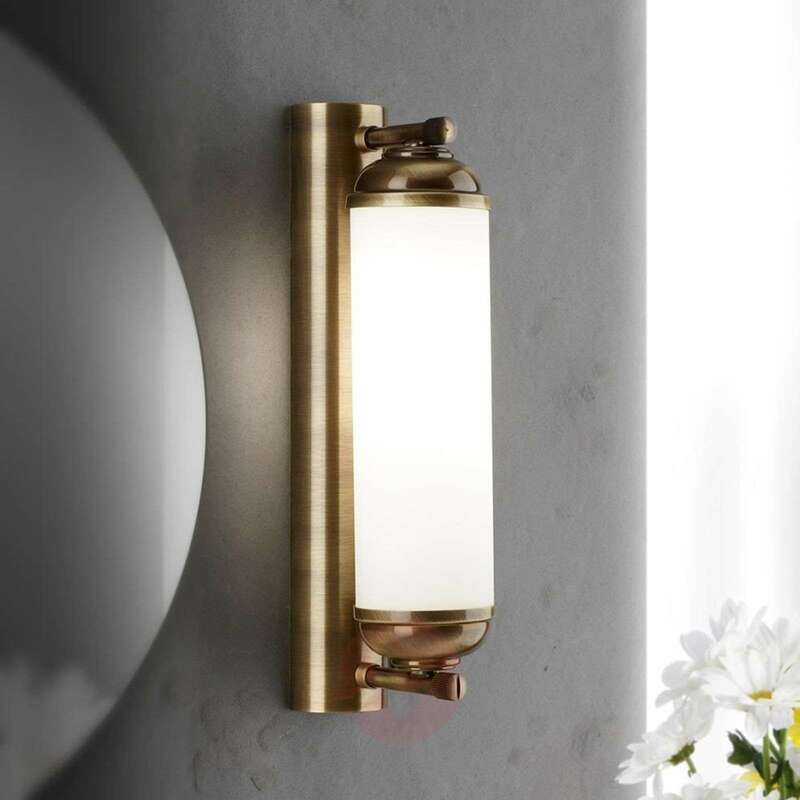 Quality, elegance, high-class manufacture and durability take centre stage in these lights. The designer's creativity is combined with Austrian craftsmanship to create products which are recognised around the world. This manufacturer's lights have been produced entirely in Austria since 1948 which means spare parts are available for many years to come. On request, the light is also available in other sizes and with other surfaces.